Clibinarium - The Great Northern War is a project that Barry and I have discussed quite a bit over the months, in fact it might be turning in to years now, but since the summer of this year the talk started to get serious. There was always a lot do do for our League of Augsburg range (and there still is), and it always seemed to get in the way of doing anything else as design time is finite. There's long been an enthusiastic group on the Fighting Talk forum, and primarily this post is for them, but of course anyone with an interest in the war might like to have a look too. First thing to note about these figures is that they are previews, they may or may not appear in these forms in the final figures, because some of them are really dollies that have been taken "on" a stage and turned into finished figures. 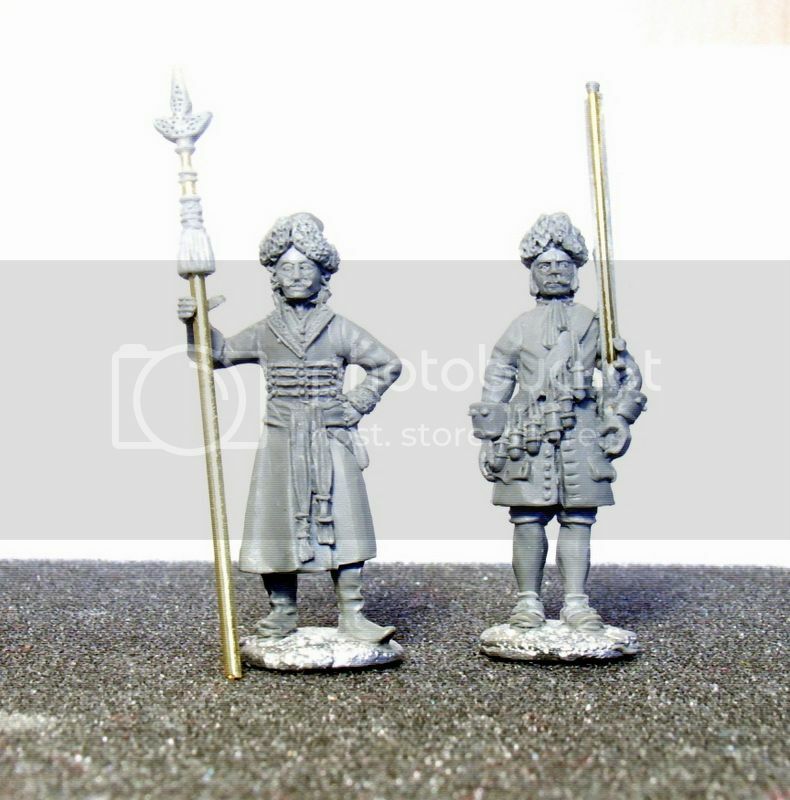 A good example of this is the marching figures, we'll probably remove the heads and cast the bodies as dollies, so that they can be sculpted wearing karpuses or mitres or whatever headgear might prove useful. Others like the Russian officer in the kaftan will likely stay as is. 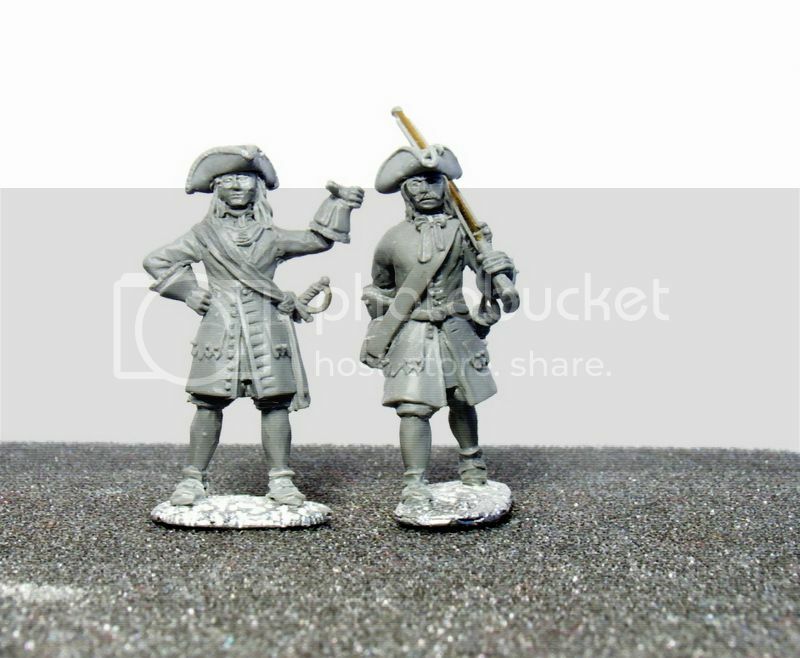 It may be that certain aspects are a bit too ambitious to cast easily, I'm thinking of the shouldered muskets of the marching figures. 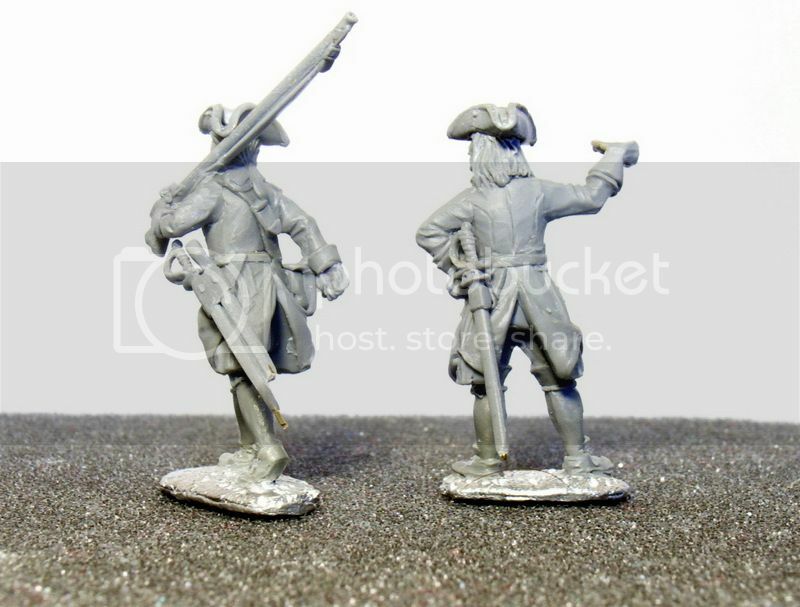 Faced with the choice of filling in the small spaces between musket and head or making the musket and arm separate, I think musket and arm would be best separated, (see the previous post Gardes Françaises Revisited for an example of the same issue). 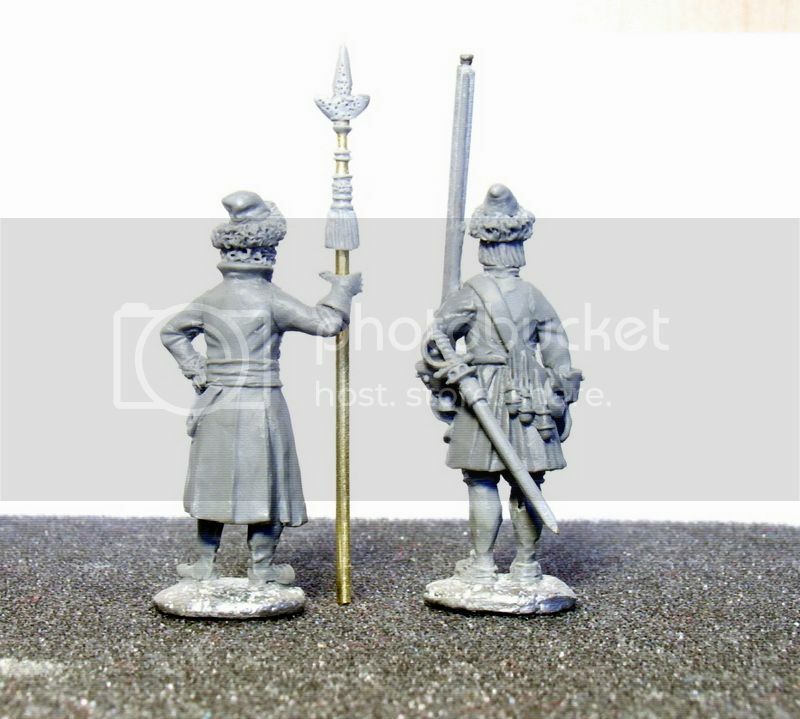 It makes for a better figure, but also means there's a little construction involved, it that the figure's arms and swords will have to be attached. If you have strong feeling on this either way please say so in the 'comments' section. Another point to note; these figures are all based on the new "blank" dollies. You can see the consistency this lends to their proportions. 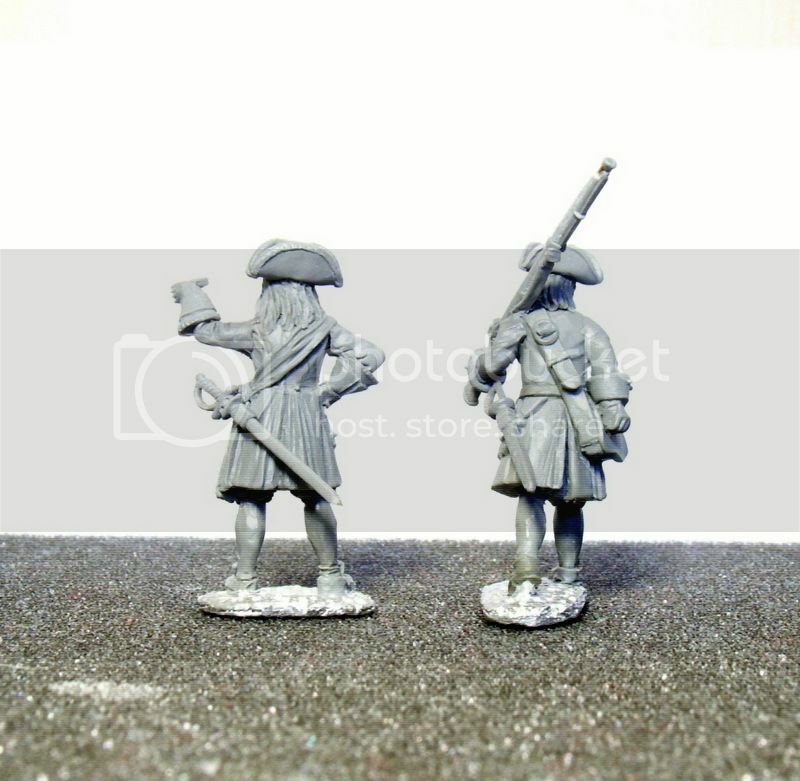 It will be apparent that the two marching figures, that although they are clearly different, the same dolly underneath should be pretty obvious. A lot of work went into these figures, and to be honest I am glad they are finished (for now). There are some aspects that I am still not quite satisfied with and may make further corrections, for example I'm not thrilled with the Russian ensign's face. I hope you like them and will be doing my utmost to retain this level for the rest of the range, and improve it where possible. On the left is a Swedish sergeant in winter gear; he has tied the flaps of his karpus under his chin, turned up the collar of his cape and unhooked the turnbacks of his coat. 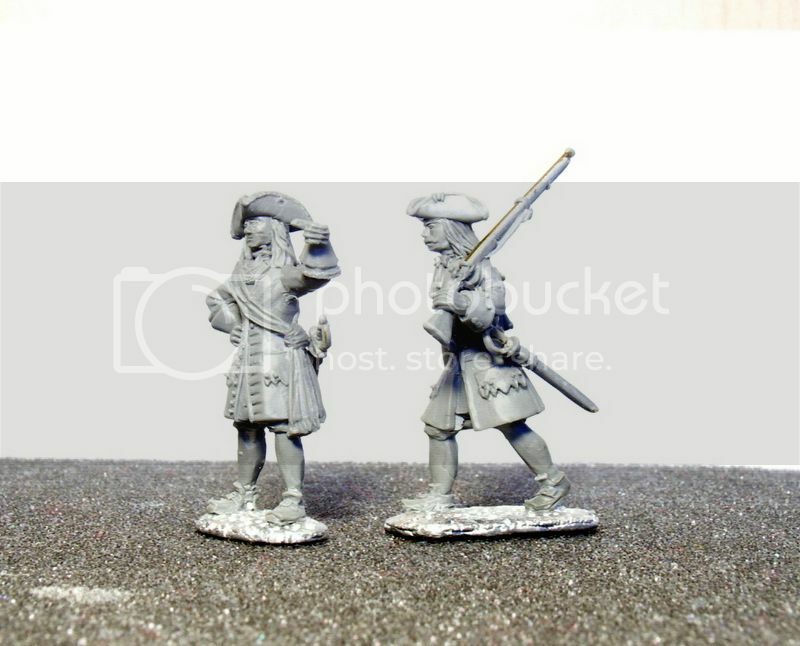 On the right is a grenadier getting ready to charge. 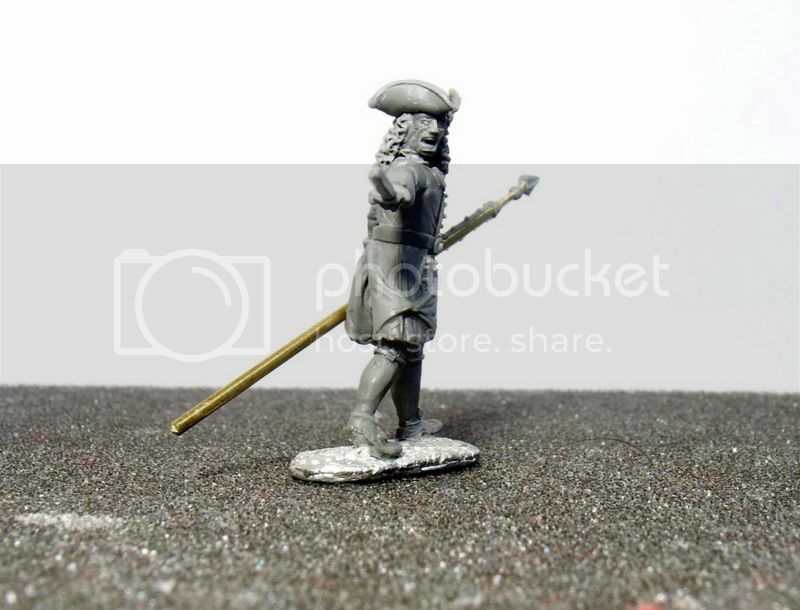 I've put him in a mitre, though they may well have worn tricorns on campaign. 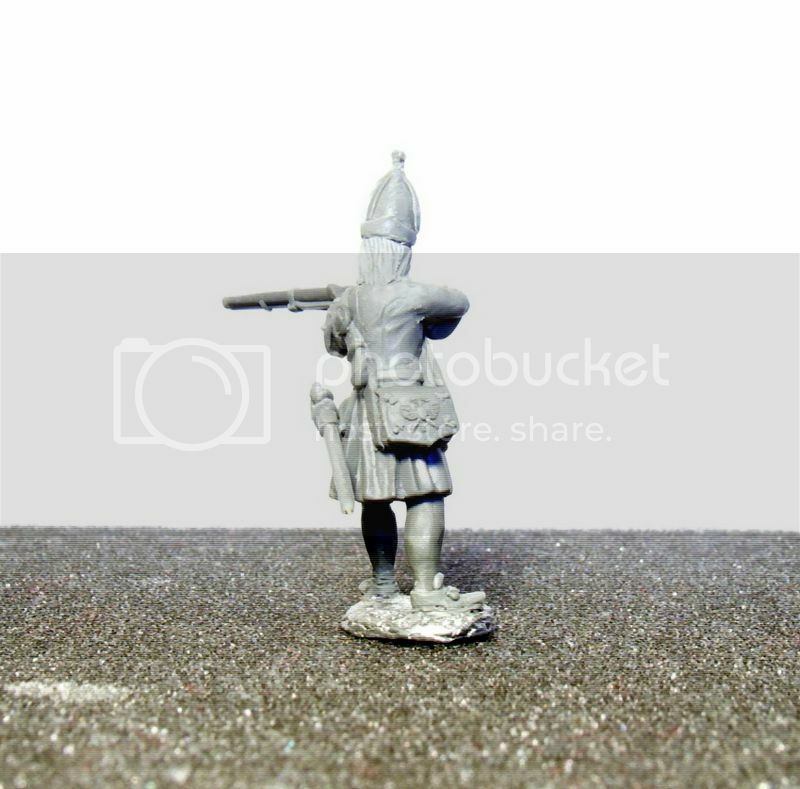 Once this figure is dollied he can be put in any variety of headgear. 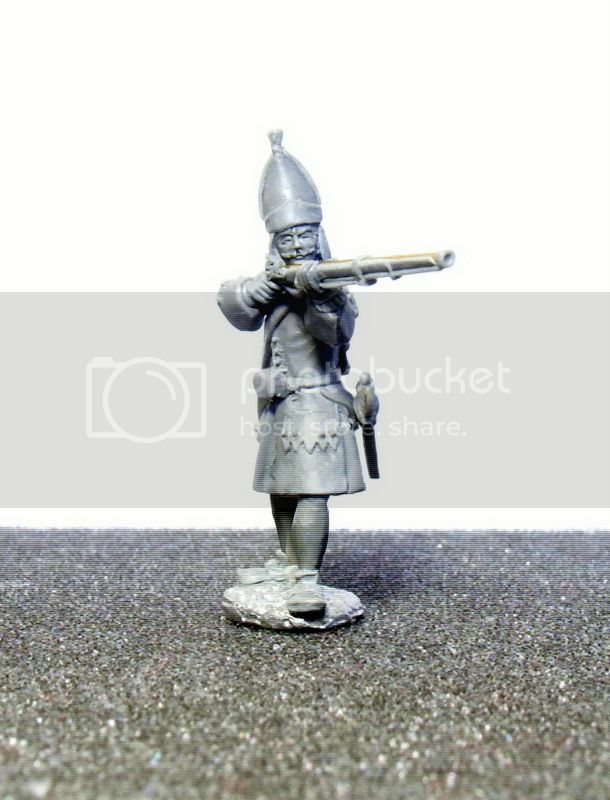 There seems to be quite a variety of possible headgear for Swedish grenadiers, we may go with plug in heads to solve this, its still being considered. 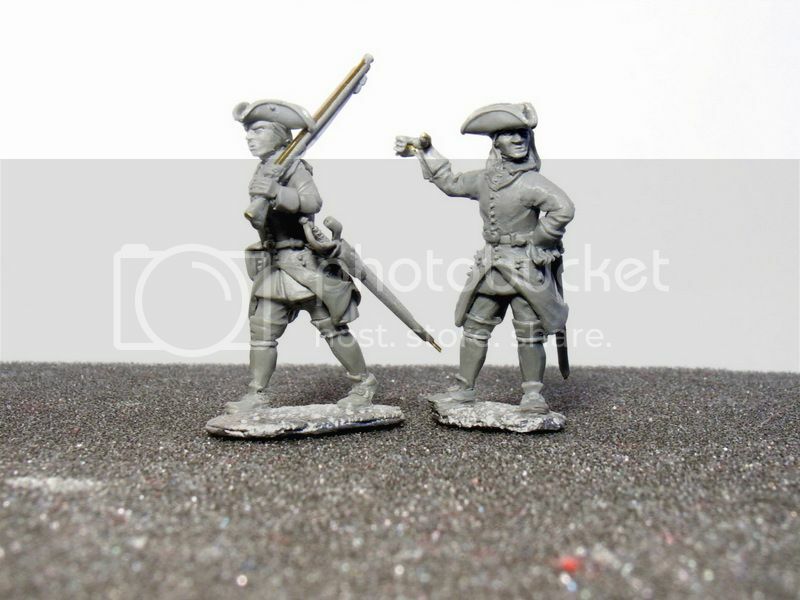 Note the bayonet of the Swedes which was unusually long (approximately 78cm) not that much shorter than the sword they carried. 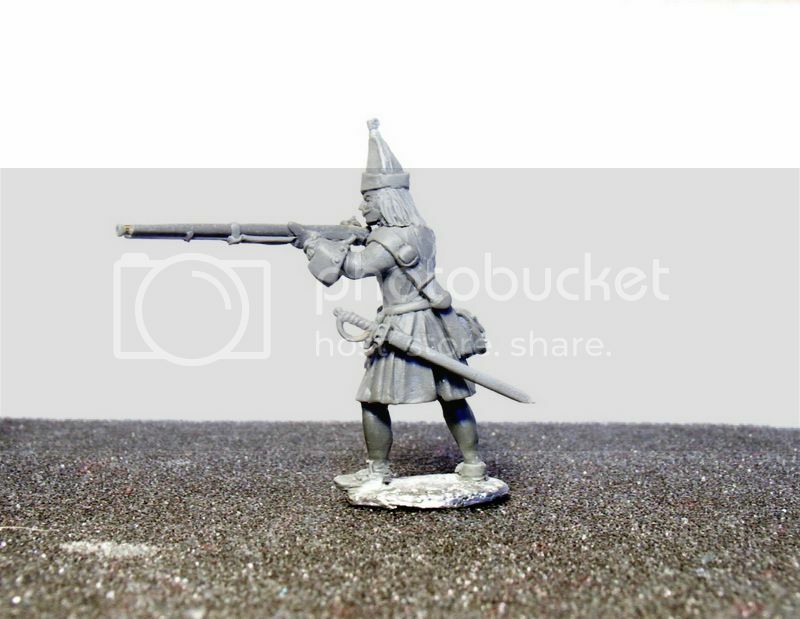 Infantry officer. The idea is that he's marching with his unit, turning to reorder a line that's beginning to get ragged. 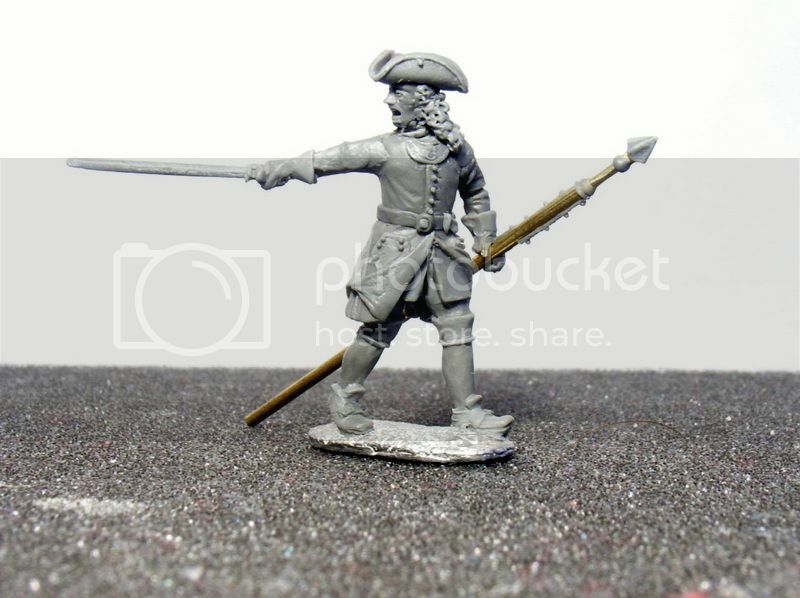 I think the pose will work without the polearm too. 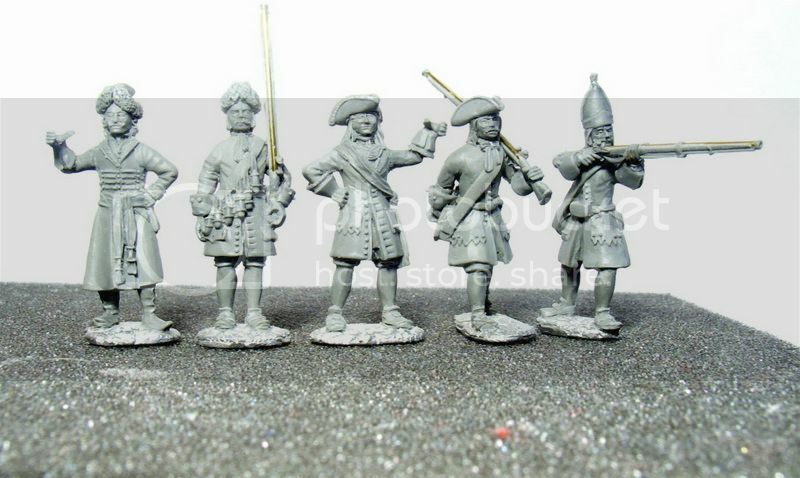 Early Russian infantry, around 1698, the first years of Peter the Great's process of reforming the Russian army on a Western European model. On the left is a well off officer in a long Kaftan. My personal favourite of this bunch. He's based on an illustration in Letin Leonoff's book on the Russian army of the 18th Century. 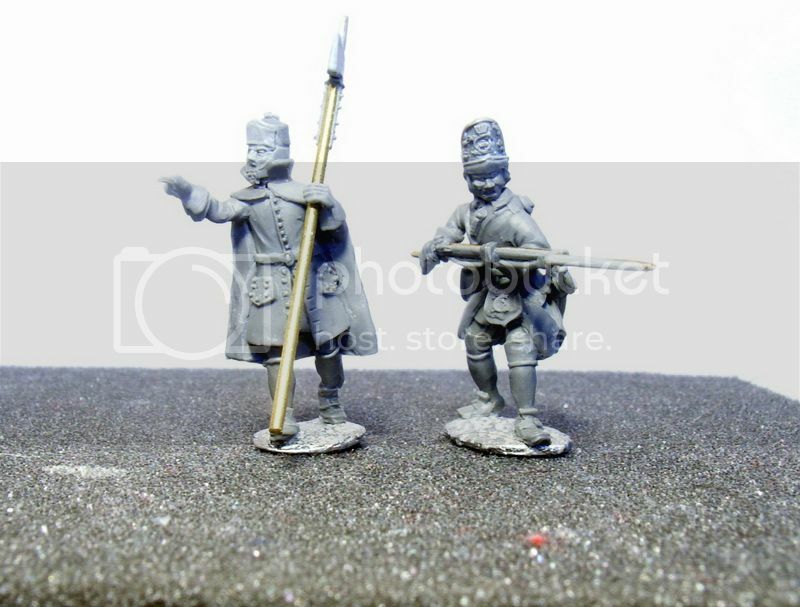 The Infantryman on the right is still using the matchlock. His fur hat is the only particularly Eastern aspect. 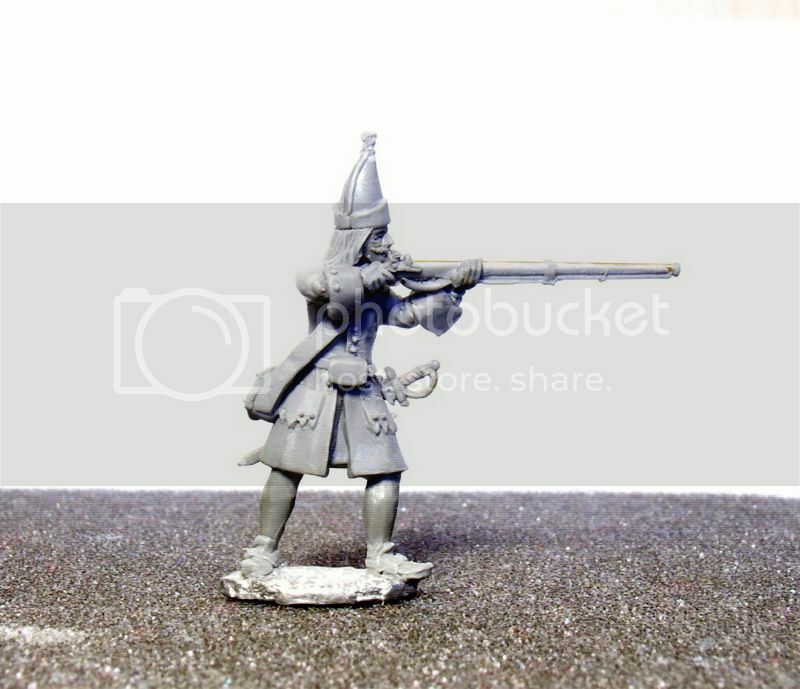 With a head-swap he could easily be made into a Western soldier. 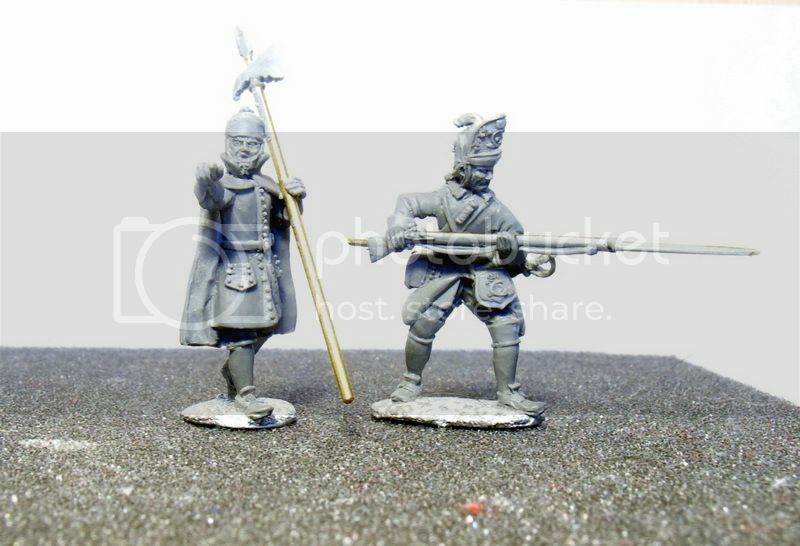 On the left a Russian ensign, though could be used an officer with the addition of a polearm. Not wild about the face of this figure, I might revise it. 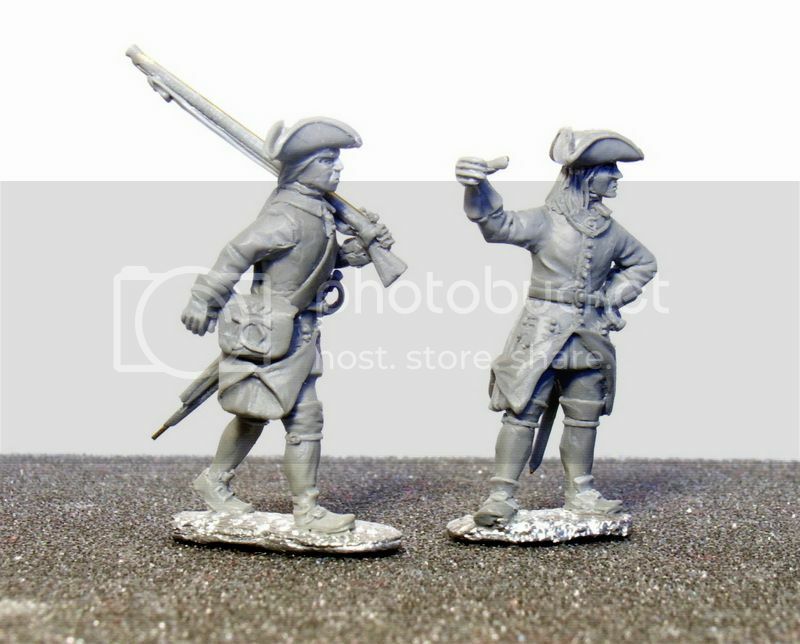 On the right a musketeer, again a separate musket arm might be required. 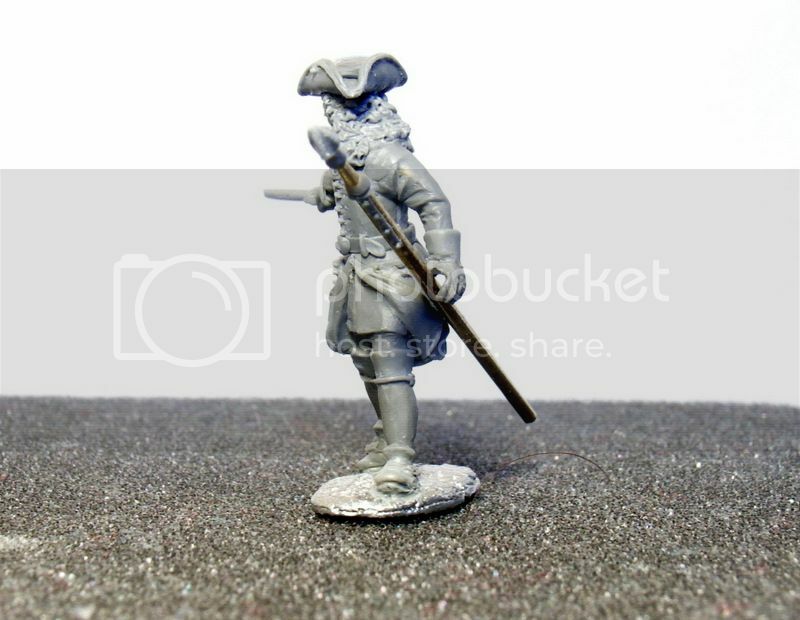 A head-swap and some minor additions would change him into a grenadier.